I decided my beautiful Dale of Norway sweater, Gjende, needed a companion. I had yarn left over and it was just begging to be turned into a matching hat. Using my spreadsheet program, Numbers, I charted the two eight-stitch motifs from the Gjende sweater. I cast on 112 stitches, a multiple of eight, and made a beanie. 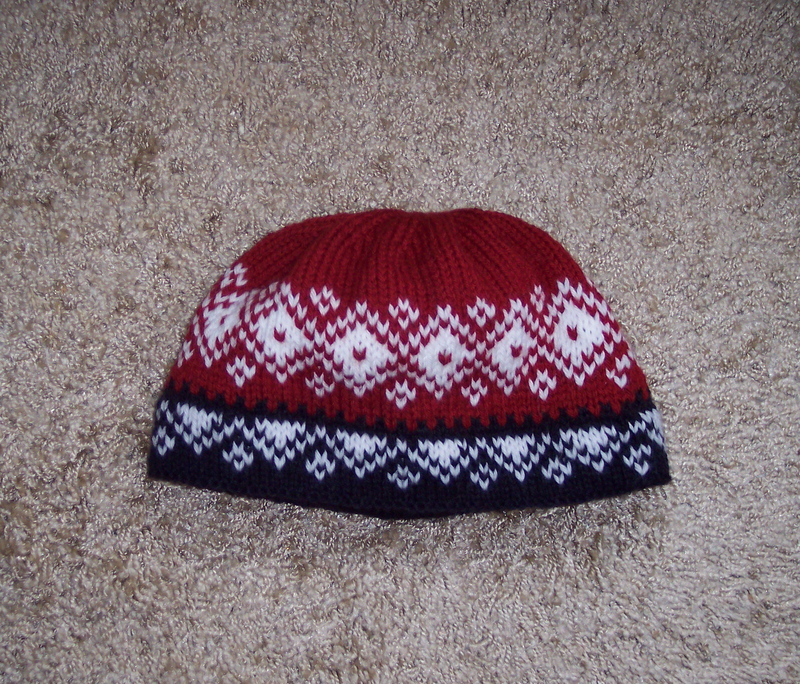 Where the blue yarn transitions to the red, I knitted a round that alternates blue and red. I had originally planned to do one round of alternating blue and white, then a round of alternating red and white–a checkerboard effect. 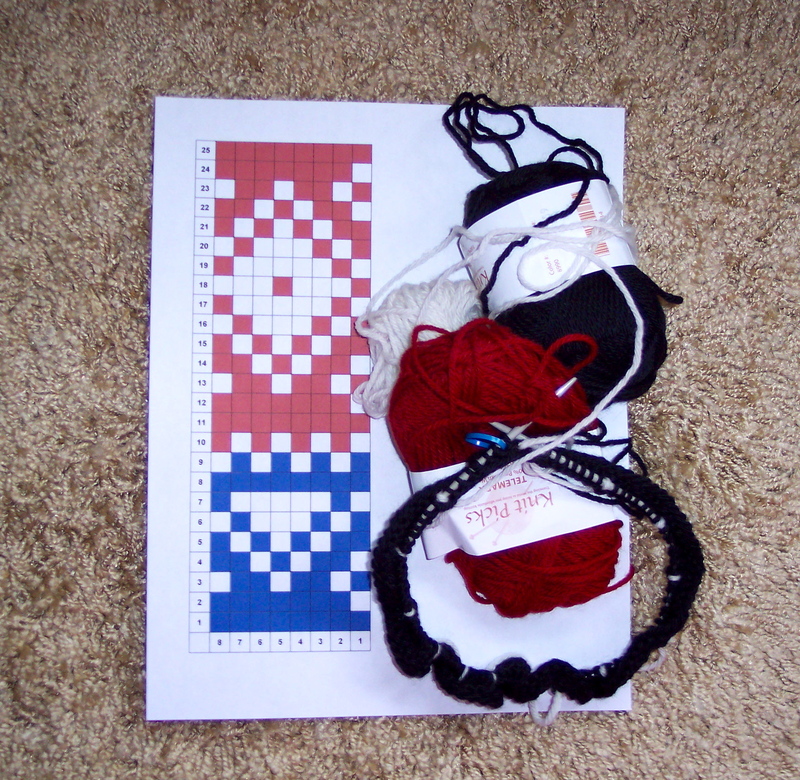 But while I was knitting, I decided to try a round of alternating blue and red stitches. I liked the way it looked, so I canned the checkerboard design.